Apologies for the late and short article, but between the recent heatwave and the workload I’ve taken on, it’s occasionally a struggle to keep up with everything, but here’s a short list of excuses. Increasingly our Shrewsbury Meets are earning their 18+ requirement, and less for the venue’s legal limitations and more about what happens when our regulars get into a Bucket of Doom. It’s been another month of madcap hilarity, new faces, old faces, new games and a failed attempt at playing NYET! and after a busy month, a bustling Kitacon, and all the extra work that came with it, I was glad of GeekOut this Thursday. It was another great turn out, another great competition, and some new ideas for the future. Let’s get into this, shall we? Here are the pictures from GeekOut Shrewsbury #6. Sadly no time to take a proper poll for the pre-meet as the latter half of August was rather consumed by work, but as a snap decision the Boiler House coffee shop turned out rather nicely indeed. A handful of us gathered for a couple of games of Magic which proved my new deck to have… inconsistent effectiveness, and Murray’s premade decks to require little work to become fully operational killing machines. Ben brought some short lived cakes and joined us for a free-for all and a coffee, and we had a visit from Anni of Space Station Centaur who joyously sat with us and chatted sci-fi while we played. We highly advocate for joining a role-play as big as the ongoing Star Trek online groups like Centaur and Outpost Eden, and any and all of their memebers are very welcome to join us too. That’s not an advertising pitch, I just think it’d be cool to hang out. Anyway, we moved on to Monty’s to find extra space reserved for us despite the fact that I only asked for it after 18:00, but as it transpired it was probably better they laid out the signs, as people started to join us sooner than expected. We dug into a well timed game or three of Resistance before Anni had to leave, because how better to meet new people than to spend an hour accusing them of deceit and treachery? You see Pixie smiling over there? That’s how much space we fill these days. The beatific winners were kind enough to share out the spoils, but never forget that they had all the power! Next month is term-time, so a lot of our regulars may struggle to join us, but we can help them get their geeky fix for the rest of the month. Though Tuesdays and Thursdays seem to be the foundation of Shrewsbury’s geek-calendar, we need to find those groups that operate at the weekends and the rest of the week. This is a call to action and if you know of any groups for gamers, geeks and nerds anywhere in the Shropshire area we have some very keen members who want to know. And hey, while you’re on the job, maybe tell them about us! 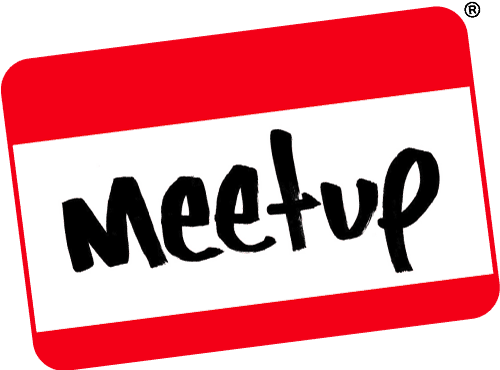 Next GeekOut Shrewsbury Meet is on the 28th of September, keep an eye on Facebook and Meetup for the details. No Man’s Sky – What Is It? Have you been looking forward to No Man’s Sky? I have been and in this article, I’ll tell you why: Is this a game you should buy or is it one you should just have a watch on YouTube for? Join Timlah through a discussion on the highs and the lows of the sky; the No Man’s Sky that is!